Apple's smart speaker sounds great but feels unfinished. Apple’s HomePod sounds great, but feels unfinished. With HomePod, Apple is entering a big race after its competitors have already completed several laps. Amazon and Google have been iterating on their smart speaker hardware and software solutions for a couple years and have already sold tens of millions of Echo and Home devices. After missing its initial “late 2017” release date, the HomePod has landed with glaring omissions and limited functionality. Apple’s smart speaker avails itself well with superior audio, but it’s a little startling to see a new product ship late, into a highly competitive market, in such an obviously unfinished and uncompetitive state. HomePod is tough to recommend, even to Apple enthusiasts, in its current state. Fortunately, HomePod’s woes are related to software and services, so there’s nothing wrong with it that can’t be addressed in future software updates. The HomePod is surprisingly small. It’s about the same size as the Sonos One, only slightly fatter. At 6.8 inches tall, it’s only about half an inch taller than an iPhone 8 Plus. And it’s exceedingly well-built, too. Typical Apple design and craftsmanship is evident, from the surprising heft to the soft padded mesh wrap to the over-engineered LCD that pulses as Siri listens to your commands. HomePod looks simple and elegant, and up close displays a level of craftmanship unmatched by other smart speakers. There are no physical buttons, just a touch interface on top. There are plus and minus signs to adjust volume, and a glowing, undulating middle area for everything else—tap to play/pause, double-tap to skip forward, triple-tap to skip back, tap-and-hold to invoke Siri. The Siri LEDs up top are needlessly fancy, and we love it. Even the power cord is better-made than its contemporaries, with a nice braided cover. 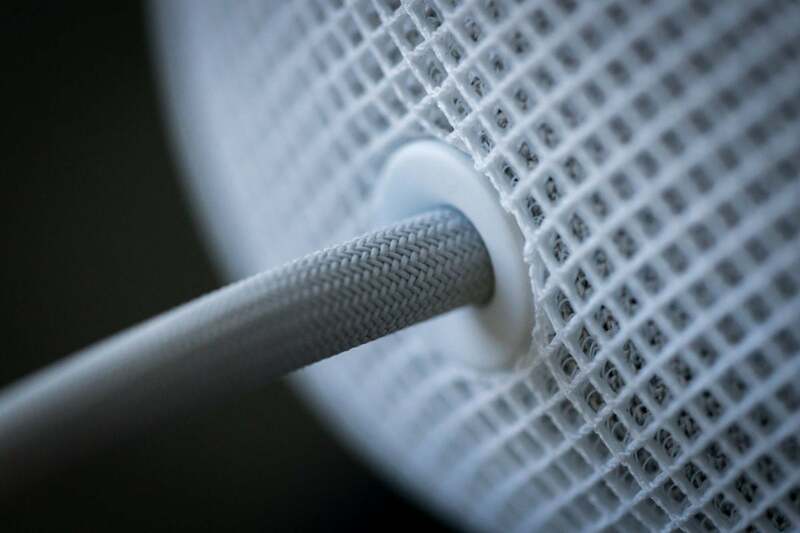 But the cord is a great example of how “Apple design” can serve as both compliment and criticism: the cord is attached in such a way that users are not meant to ever remove it. If your dog chews it up, you have to take the whole thing in for a $29 repair, rather than simply buy a replacement power cord yourself. All to make HomePod look just the slightest bit more uniform and holistic. The braided power cord is typical Apple attention to detail, and typical Apple lack of self-servicability. Another unfortunate but very “Apple” design decision is the total lack of input or output ports. This shouldn’t come as a surprise from a company who said it took “courage” to eliminate the headphone jack from its phones, but you cannot plug anything into the HomePod. I’d love to see a little USB-C plug on the back as you’ll find on the Google Home Max, if only to serve as a charging port. It may seem trite to think of the design and craftsmanship of a device like this as a marquee feature, but smart home speakers are inevitably placed on shelves, tables, and countertops where they are seen by everyone in your home. When you talk to them and they answer, all eyes are drawn to it. The wide seams, flashing lights, and chintzy plastic of competing products make them look and feel cheap by comparison. When Apple talks about HomePod, it talks first about its amazing sound quality. With a four-inch woofer, an array of seven tweeters, six microphones, and an A8 processor, it will to listen to your room’s acoustics and analyze the music playing in real time. It knows where the walls are and bounces some sounds off of them, beaming others directly into the room. The high-excursion subwoofer is constantly monitoring its movement to prevent distortion and keep the bass balanced. Apple says it does all this sophisticated processing to sound amazing, all the time, anywhere in the room. It really does work, too. Apple’s $350 speaker quite often sounds better than the more expensive Google Home Max, and always sounds better than the cheaper Sonos One. I’m not sure how it’s done, but a song like “Fight of the Cosmic Hippo” by Bela Fleck, with is heavy lumbering bass, clear plucky banjo, and riding cymbals manages to keep its clarity and sound stage nearly as well on this little pod as it does on the much bigger and heavier Google Home Max. Sure, Google’s big speaker has more low-end oomph, but it also sounds somewhat constrained and hollow. Over the years I’ve listened to a lot of technologies that are supposed to use sophisticated processing to expand the sound stage, and they always sound great in demos but fall apart when I get them home to listen to my own music. A track like Jeff Buckley’s “Hallelujah” might echo too much and lose all the subtle little squeaks of his fingers sliding along the guitar strings. HomePod finds a great balance, keeping the live stage ambience but making every subtle sound clear and distinct. OK Go’s “This Too Shall Pass” is murder on small and cheap speakers, and doubly tough for most audio-improvement algorithms. It can easily turn to sonic mush with the thundering kick drum, high piano chords, crashing cymbals, echoing vocals, distorted guitar, and backing tracks all layered on top of each other at high volume. I’m shocked at how well the HomePod handles it all. I am constantly surprised by how consistently great the HomePod sounds, especially for its diminutive size, whether listening to hip-hop, electronic, pop, classical, rock, or blues. To be clear, if you’re an audiophile with a couple grand invested in a home stereo setup, there’s nothing a little sound pod like this could possibly do to compete. A four-inch woofer, no matter how sophisticated the audio processing is, is just not going to kick you in the chest when listening to Daft Punk on high volume the way your 14-inch subwoofer is. 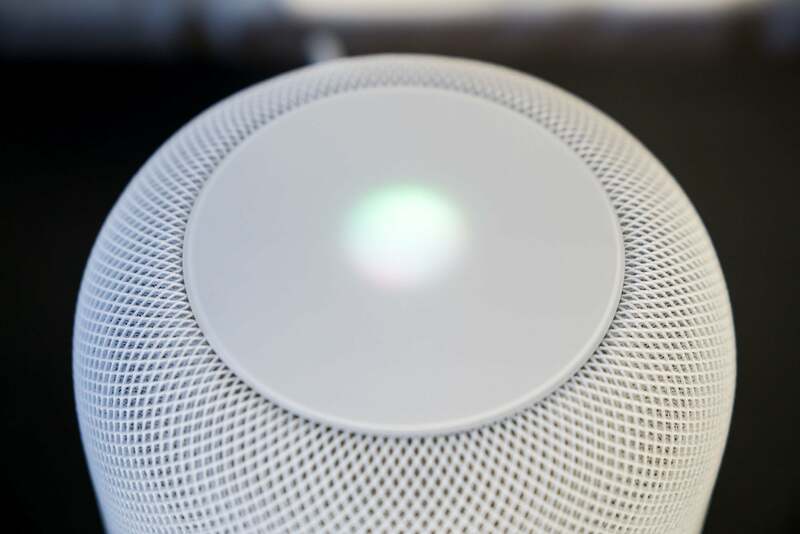 But I am constantly surprised by how consistently great the HomePod sounds, especially for its diminutive size, whether listening to hip-hop, electronic, pop, classical, rock, or blues. And the HomePod gets loud, too (I measured just over 90dB at a distance of one meter). Even at max volume I didn’t hear much distortion at all, a feat the Sonos One and Google Home Max couldn’t match. HomePod managed to sound great no matter where I was in the room, as advertised. $350 might seem like a high price for a smart speaker, and it is, but it’s easy to spend many times that on home audio equipment. 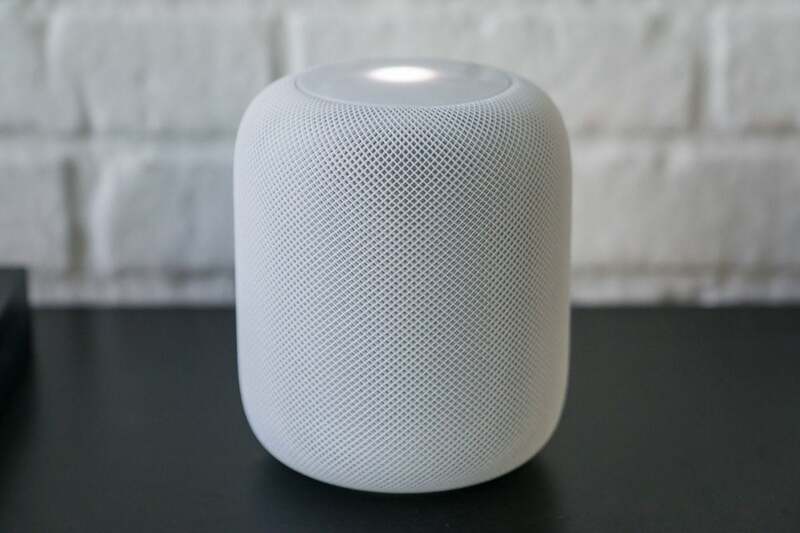 If you think of it as a $350 speaker set, HomePod exceeds expectations. It should be noted, though, that no amount of fancy audio processing is going to change the fact that the sound ultimately emanates from a single location. You just aren’t going to get real wide stereo separation without two speakers spaced apart. Some other single speaker units or sound bars can fool your ears, but only when you sit right in the sweet spot—move and the illusion is ruined. The HomePod doesn’t exactly sound monaural, and in fact fills the air more than other single-unit smart speakers, but for real stereo you’ll need two (and a future software update). For all its vaunted sound quality, HomePod makes a frustrating home music device. You can ask Siri to do all sorts of stuff—play albums, playlists, “more by this artist,” mix moods and genres, and so much more—but only with Apple’s own music service. You have to use music purchased through iTunes, or uploaded and matched with iTunes Music Match, or of course Apple Music. You can also play podcasts without a subscription (to either Apple Music or the podcast). But you can’t use it properly with much else. As mentioned, there are no physical inputs or outputs. That wouldn’t matter much if you could use it wirelessly with non-Apple products, but you can’t. I mean, it’s got Bluetooth 5 hardware, but it’s only used during setup. You can’t use HomePod as a Bluetooth speaker at all, and there’s just no good reason for that. HomePod just doesn't play nice with others. No Bluetooth, no much services besides Apple's. Siri does not connect to any other music service. No Spotify, no Pandora, no YouTube, nothing. 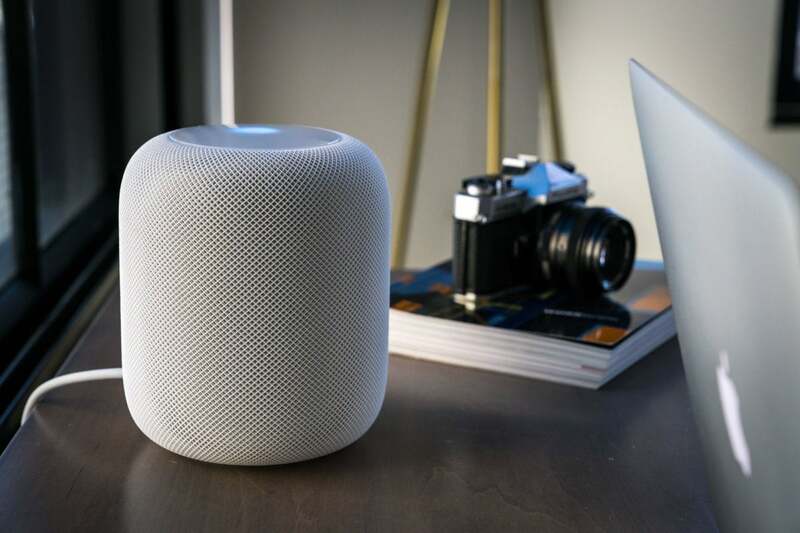 You can use HomePod as an AirPlay device, which means anything you play on your iPhone, iPad, or Mac can be output to your HomePod. But this has limited usefulness. AirPlay has a lot of buffering and latency built in, so while it worked fine for beaming Spotify from my iPhone, it was completely out of sync when watching YouTube on my Mac. You can make the HomePod the default audio output for Apple TV (4th generation or 4K) but it has the same problems. An app that uses the Apple’s native video playback engine (as most video apps do) will delay the video to keep it in sync with the audio, but other sources (like games) are so far out of sync as to be unusable. The Apple lock-in here is pretty severe, and a little unprecedented. Other “pod” audio devices were made to work best with Apple products and services but still work fine with others. iPod famously started to sell really well only after Windows support was added, and you could always fill it with MP3s acquired from anywhere. AirPods are easier to set up with Apple devices and have a few extra features when used with them, but they still work as a standard stereo Bluetooth headset with, say, an Android phone. Amazon has a music service, but lets you connect Echo devices and to multiple services and even choose a competitor as the default. Google does the same with Home and Assistant. Many other smart home devices have line inputs for other audio sources or output jacks to use your existing speakers. That HomePod does none of this is more than a little frustrating. What’s more, there are places within Apple’s ecosystem where you would expect it to work, but it doesn’t. For example, you can’t ask HomePod to play something on your Apple TV. That works fine on Alexa with Fire TV or Google Assistant with Chromecast/Android TV. There’s really no reason HomePod shouldn’t function as a hands-free Siri remote for your Apple TV, but the two are almost completely unaware of each other. At least there is one benefit from HomePod working exclusively with Apple’s own iOS devices—the setup process is dramatically faster, simpler, and easier than it is with any other smart speaker I’ve used. There are no apps to install, no passwords to type. If you’ve set up AirPods, you know what I mean. Where HomePod’s limitations as a music device as somewhat offset by its exceptional sound quality, it has nothing to mitigate its problems doing non-music smart speaker stuff. To put it blunty, Siri is at least a year or two behind the competition. The brand that popularized the virtual assistant, backed by the world’s most valuable company, simply cannot compete with Alexa or Google Assistant. Sure you can ask about the weather, but want to call an Uber or Lyft? Siri can’t do that. Trying to place a call? Forget it. HomePod is tied to your phone, but it can’t initiate calls (though you can select it as an audio source on your iPhone during a call, and it makes a great speakerphone). Want your alarm to play “Walking on Sunshine” in the morning? Surprisingly, such a music-focused device can’t wake you up with a song or playlist. Hell, I can’t even find a way to change the default alarm tone. Even setting timers, quite possibly the most-used feature of smart speakers, is frustratingly limited on HomePod. You can set one timer, and you can’t name it. Setting multiple concurrent named timers is a cooking crutch I can’t live without. Google Assistant and Alexa do it just fine. Siri can set reminders and make notes, but it can’t access your calendar to tell you when your next appointment is, as it can on your iPhone. It can send texts (and messages using SiriKit enabled apps like WhatsApp), and will read you the reply, but it can’t simply read your most recent texts. It also can’t read your most recent email like it can on your iPhone. I can’t figure out why Siri’s integration with your personal data includes some features (notes or reminders) but not others (calendar or email), except to presume that these baseline features just weren’t ready yet. Siri is terrible as providing answers to general questions on iPhone. I can’t tell you how many times I asked Siri a question and got “here’s what I found on the web for…” followed by a list of links. Frustrated, I would ask Google Assistant or Alexa the same question and get a real answer. For example: I can ask Siri “how do you make bread?” and get a list of search result links, while Assistant and Alexa give me a follow-along recipe. On HomePod, the situation is worse: Siri says she just can’t help me at all. This happens all too often—HomePod takes the worst of the big three digital assistants and hamstrings it. I asked the HomePod, “Who plays Wolverine in Logan?” and Siri replied, “I couldn’t find any movies with Wolverine playing in Logan, Utah.” Sigh. Never mind, Siri. Alexa and Assistant are far better at understanding context to create a flowing conversation, too. I asked Google, “Who plays Wolverine in Logan?” and was told it was Hugh Jackman. Then I asked, “How old is he?” and was told that Hugh Jackman is 49 years old. I asked the HomePod, “Who plays Wolverine in Logan?” and Siri replied, “I couldn’t find any movies with Wolverine playing in Logan, Utah.” Sigh. Never mind, Siri. Siri dutifully added items to my shopping list, but only if I gave them one at a time, each separated into its own “Hey Siri” command. 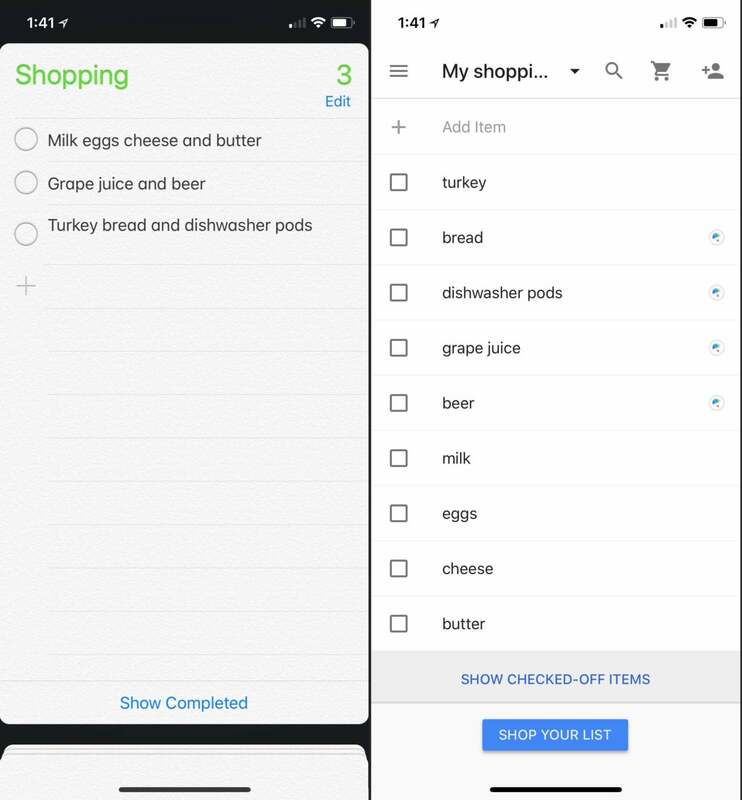 If I asked to add several items at once (“Add milk, eggs, cheese, and butter to my shopping list”) I got a single shopping list item that read “Milk eggs cheese and butter.” Google’s Assistant is smart enough to create separate list items for these. Siri (left) isn’t smart enough to separate out shopping list items, while Google Assistant (right) is. Each of these lists were created with the same three requests. HomePod controls your HomeKit-enabeled devices just fine. My HomeKit-enabled lights and plugs responded instantly and accurately. However, HomeKit has fallen way, way behind Alexa and Google Assistant in smart home support. Those ecosystems include hundreds of hot products that don’t work with HomeKit. I have hope that the new software authentication feature for HomeKit will result in greater support in the near future, but the fact that HomePod can control HomeKit stuff—and only HomeKit stuff—is currently a reason to get a competing smart speaker instead.